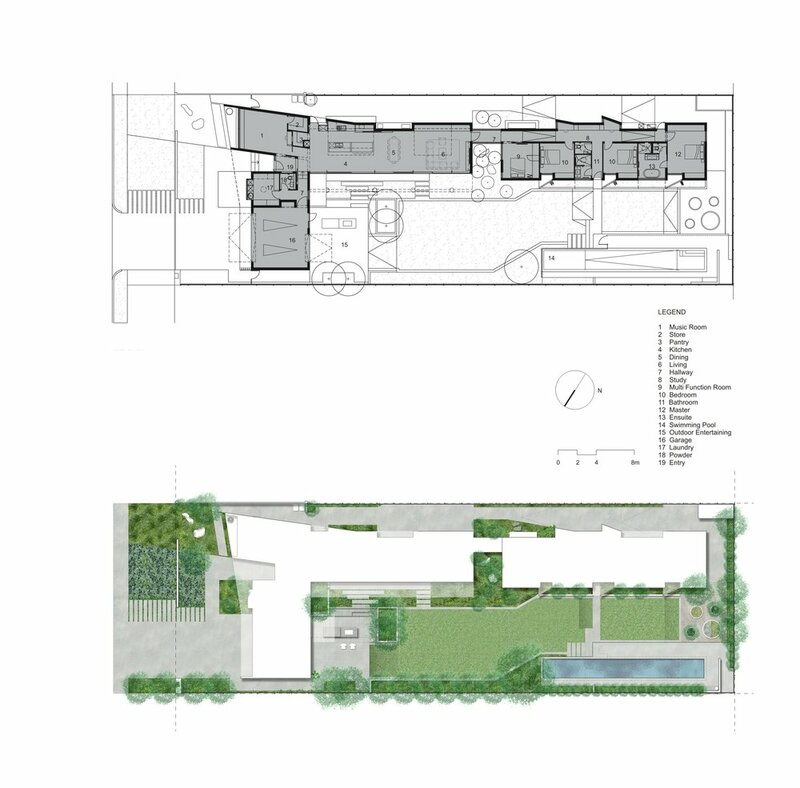 A new type of residence for these progressive clients, the long plan stretched thin over a single undulating level with vast garden spaces designed as urban parkland. Malaysian modernism meets Perth critical regionalism in this environmentally + socially responsive family home. Unity and structure, spiritual and complete.